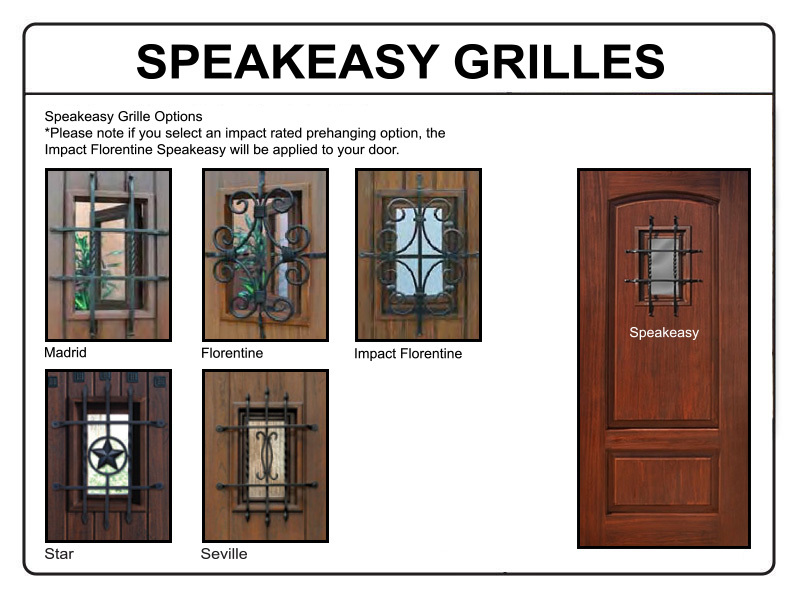 Thermally broken 8'-0" tall 2-panel steel double entry doors with speakeasy. LSL-Laminated Strand Lumber beams used on door stiles and rails provide the strongest steel door available! 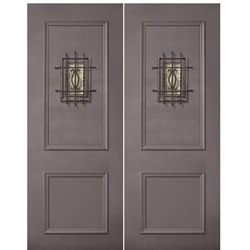 Excellent Price/Great Value - Priced at 40% less than other so-called premium steel and wrought iron doors while offering many innovative features in one unique door product line. Field-Trimmable for an exact fit - These doors can be field-trimmed for an exact fit. With the use of common power tools, the edges may be trimmed up to 1/4 inch on both sides and the top edge, and by 1-1/2 inches on the bottom edge. 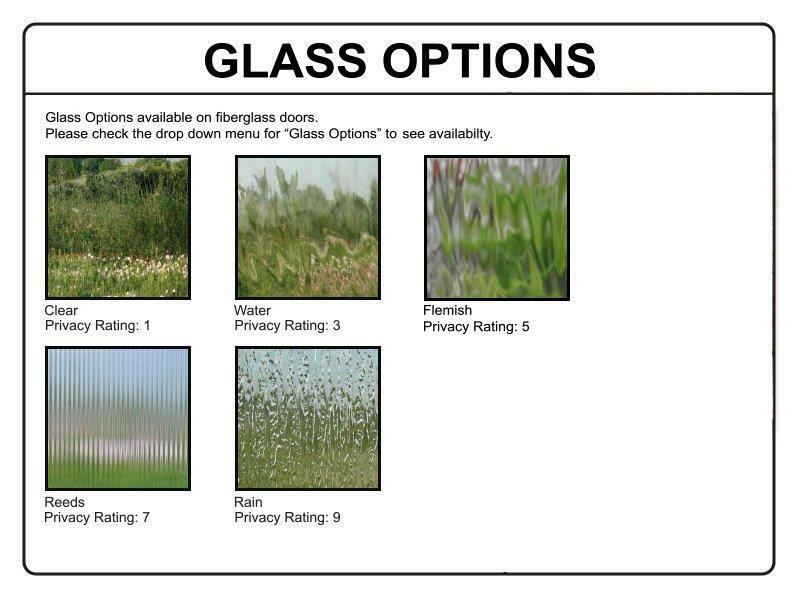 Thermally Broken to prevent heat and cold transfer from exterior to interior - GlassCraft's patent-pending design provides a thermal-break around all four door edges and the core to ensure efficient thermal performance. This ensures that summer heat or winter cold does not wrap around the edges of the door and radiate into the home. Other doors can actually freeze or frost over on the inside during the winter, or sweat with condensation during the summer months. Security - Built strong and secure with 18 gauge dent-resistant and kick-proof steel. Also available with multipoint locks and StrikeJamb™ reinforcement. Uses standard door hardware - Available with standard one-point and multi-point locks. Available as pre-hung with ready-to-install system or as door-only that can fit into existing frames - The pre-hung unit includes a vinyl weather-strip system and a 100% composite threshold that will not rot or warp. Composite Threshold — Factory installed 100% composite adjustable threshold is built-in to eliminate rotting or warping. Two threshold options available. 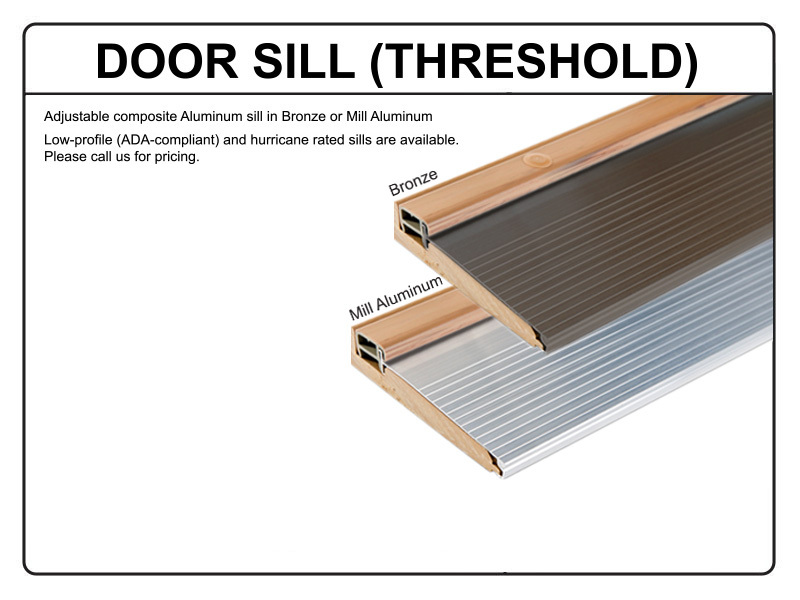 These are solid thresholds (not hollow) and are adjustable for exact fit. 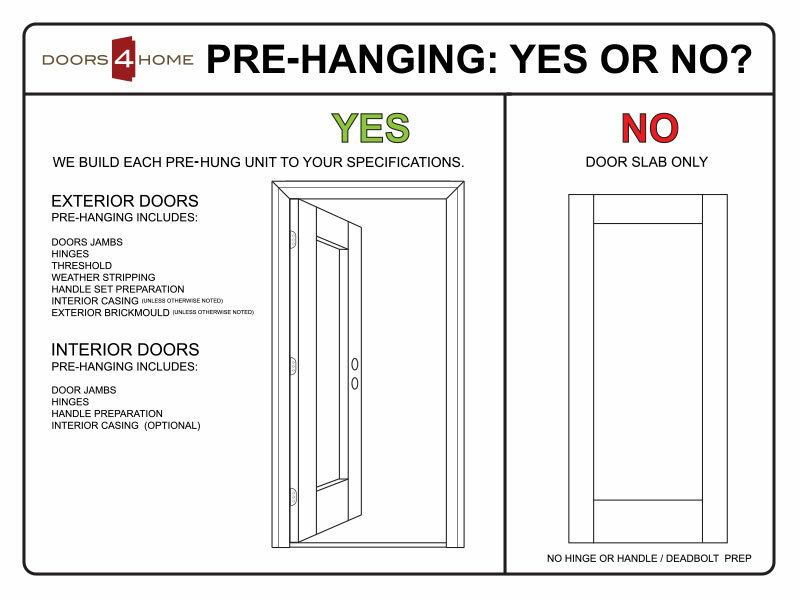 A pre-hung door is a door that is already hanging in its own frame. 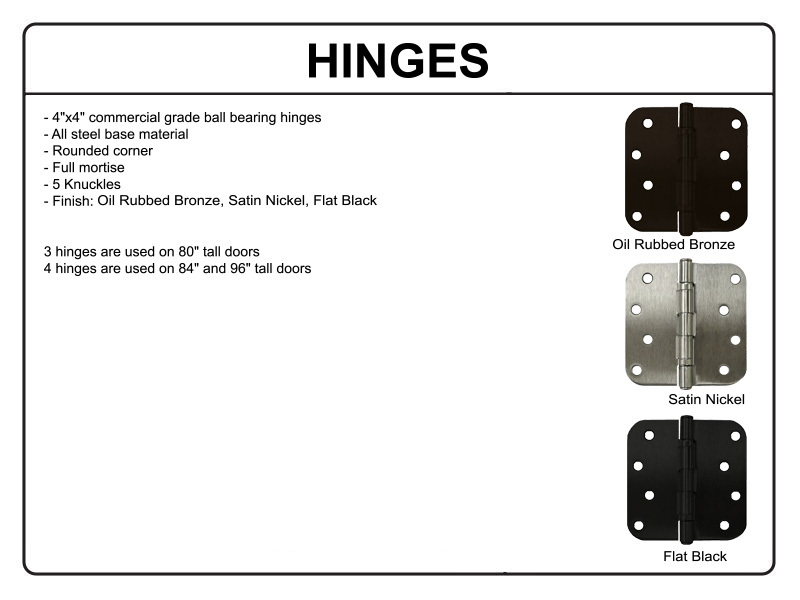 By selecting the pre-hanging option, you will receive a full unit with the door prepped, hinged and assembled to your specifications. This complete package ensures smooth, easy installation with a precise fit. THERMAPLUS doors are available as door-only or as prehung with rot-proof composite door frame with StrikeJamb™. 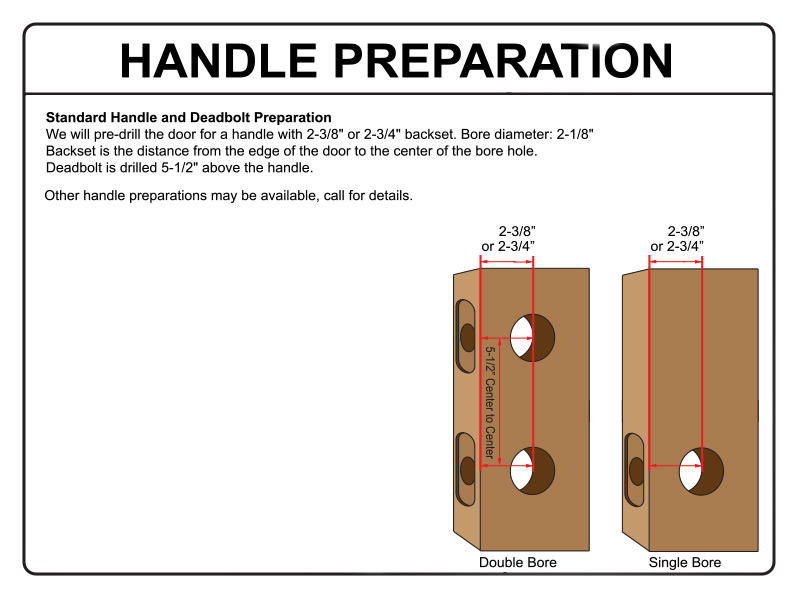 Pre-hung units include brick mold, T-astragal (for double doors), sill cover, door sweep, weatherstripping, and adjustable threshold, plus 3 ball-bearing hinges on 6'-8" tall doors and 4 ball-bearing hinges on 8'-0" tall doors. StrikeJamb™ Pre-hung units include GlassCraft's exclusive StrikeJamb™ reinforcement, providing extra security around the door frame strike plate area with the addition of a large 18 gauge steel reinforcing plate on single doors, and a steel reinforcing plate added to the astragal for double doors. Pre-hung units may be ordered unfinished or factory finished. Standard pre-hung door units can be ordered with any of our standard double bore or multi-point lock sets and handle set options. Pre-hung entryways include 4-1/2" or 6-1/2" full composite jamb options and composite exterior brick mold. 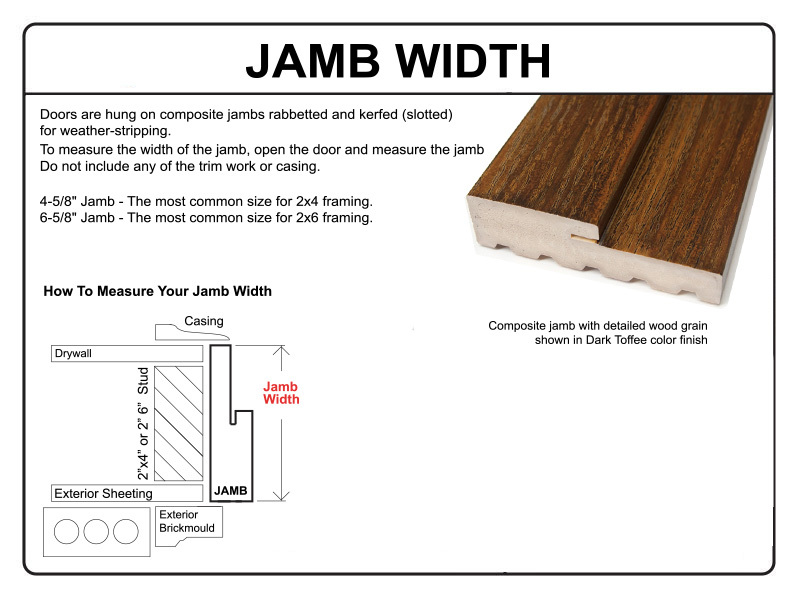 GlassCraft composite jamb system can be stained or painted. The Strike Jamb reinforcement (image shown at right) is installed on the lock side jamb leg for safety and security. 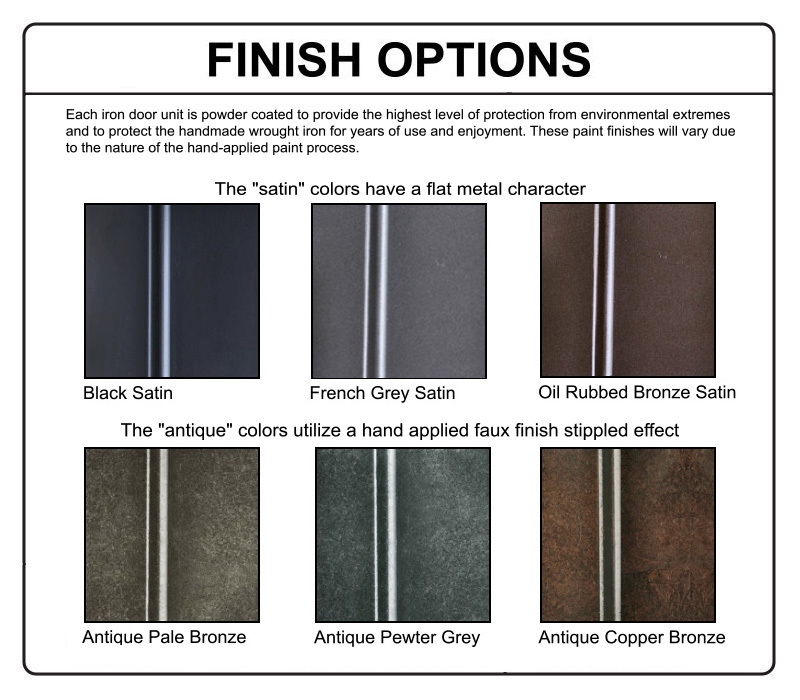 Selecting a factory finish option will produce a door unit with a beautiful, protective finish that promotes long life and beauty. 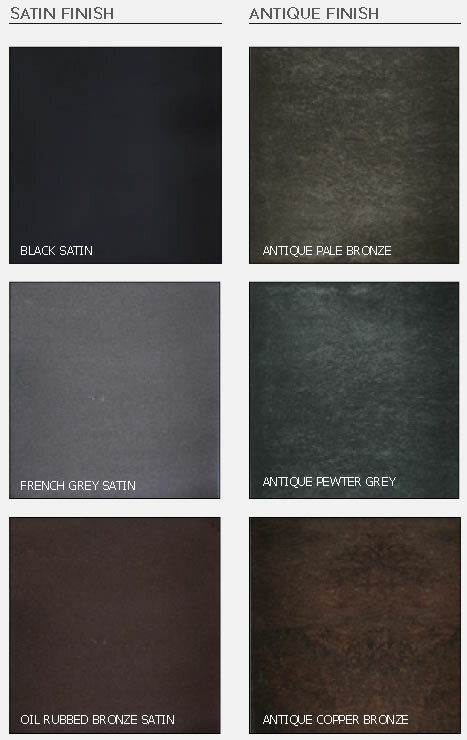 Choice of SATIN finish with flat metal character or beautiful ANTIQUE with hand-applied faux stippled effect are available. 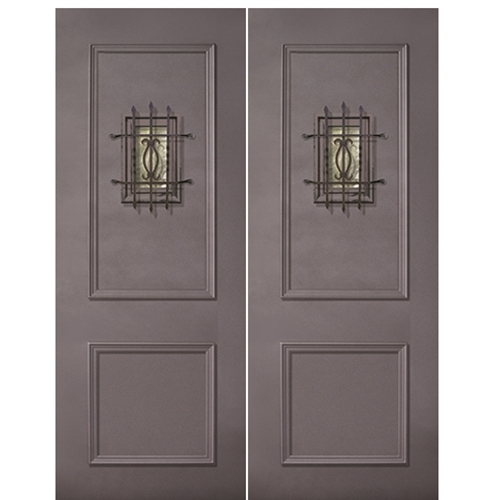 Any finish you choose will bring out the beauty and elegance of these steel ThermaPlus doors.